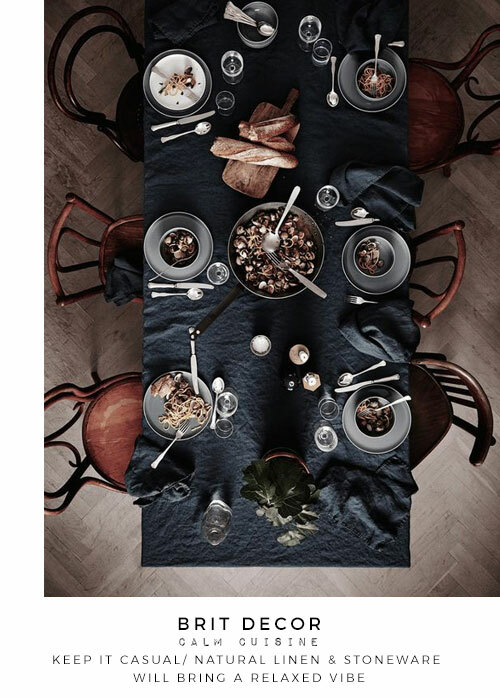 I am all for a lively dinner table debate fuelled by family and friends, but I also love the concept of mealtimes resembling some kind of calming ritual for re-fuelling the body and the mind. 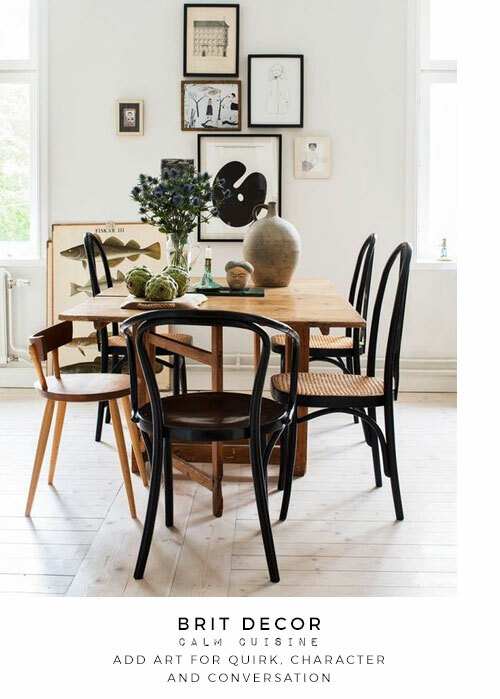 Wherever your dining table is situated, whether it's in the heart of the kitchen or in a room of its very own, it's important not to be surrounded by too many distractions of the stressful kind - we don't want to be encouraging indigestion now do we...? Today I'm honing in on some calming cuisine and dining schemes which actively promote a simple supper philosophy. There's an overriding element of 'less is more' with only positive distractions on offer. 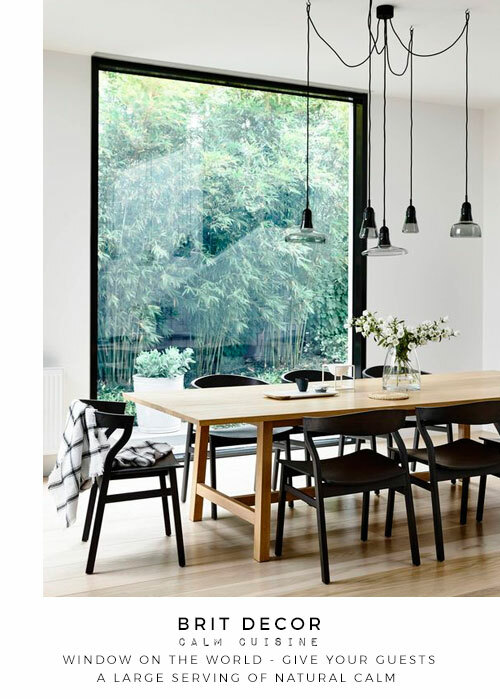 Natural light and some kind of a view out onto nature can bring instant calm to any table situation, but if you don't have easy access to either of these, choosing the appropriate lighting is essential. 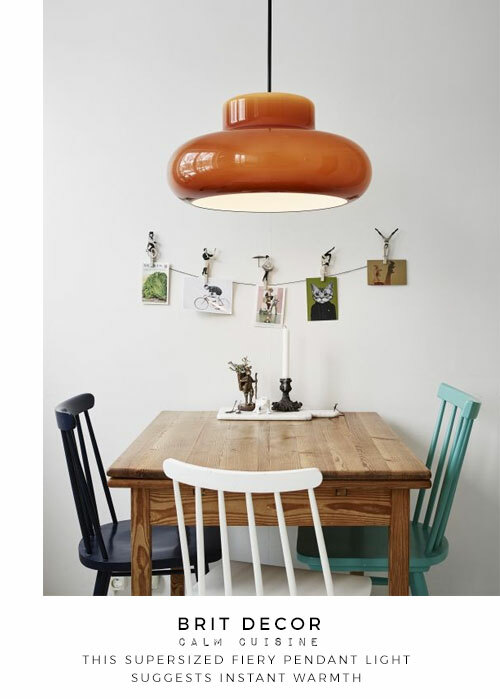 Low-hanging pendant lights are great for a cosy and intimate feel and, of course, there's candlelight for a sense of relaxation. Continuing with the natural theme - simple & uncomplicated arrangements of freshly cut flowers, foliage or herbs will bring a down-to-earth element to the table, and using textiles such as natural linen, will help to achieve a relaxed feel also. 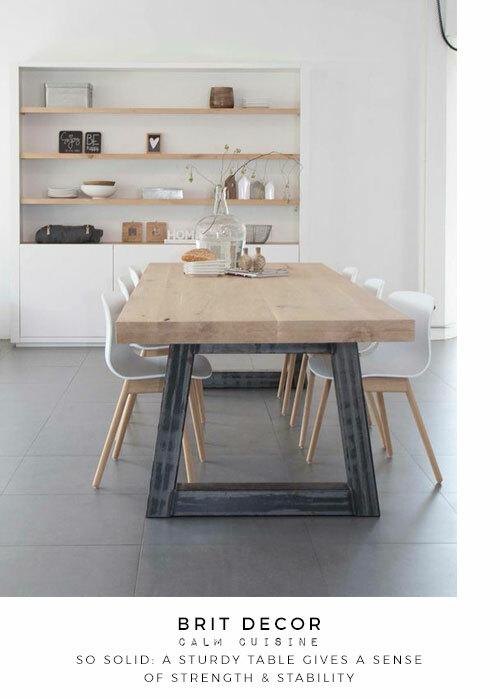 Opting for untreated and rustic-effect wooden tabletops will evoke a sense of stability and calm. Adding artwork, ceramics and one or two quirky objects can also help to break the ice by injecting personality into the room and will create talking points, but be careful not to over-clutter. Finally, keep it casual - calm cuisine isn't about standing to attention with formal place settings. Dispose of the rules and let everyone tuck in to some good food! 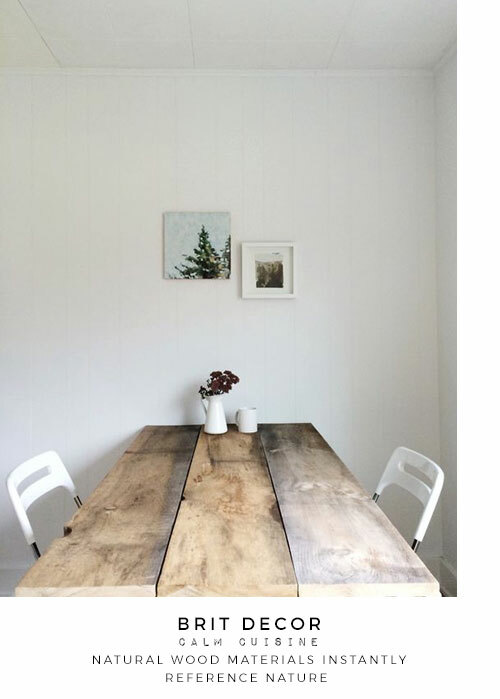 Great post and inspiring room designs. 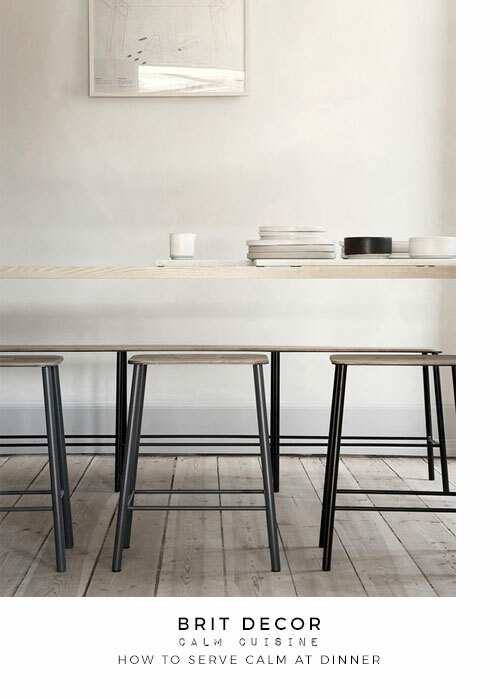 Stripping the room back to a simple and minimalist form is a great way of introducing this ‘calm’ feeling. Neutrals are always a great choice for rooms, and especially the kitchen. Soft colours help to create the calm feeling and open up the space. 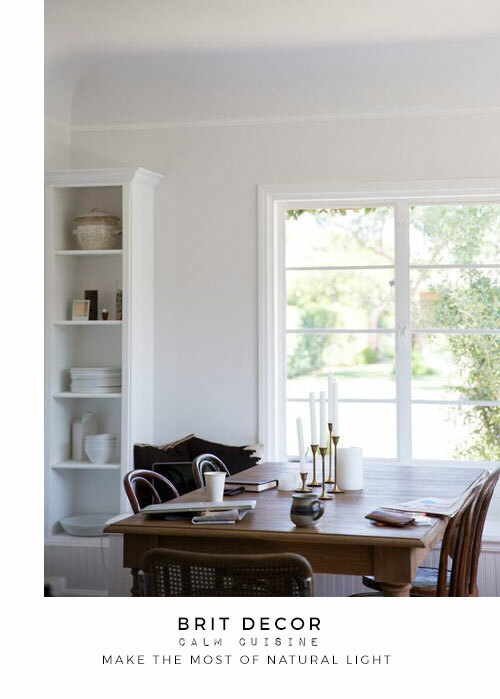 What I'd do for that 'Window on the world' space – that huge window is to die for! Perfect place for some grub.